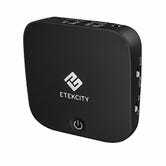 The little box can both receive and transmit Bluetooth signals, and includes SPDIF in and out ports to connect it to your TV or high-end audio equipment. 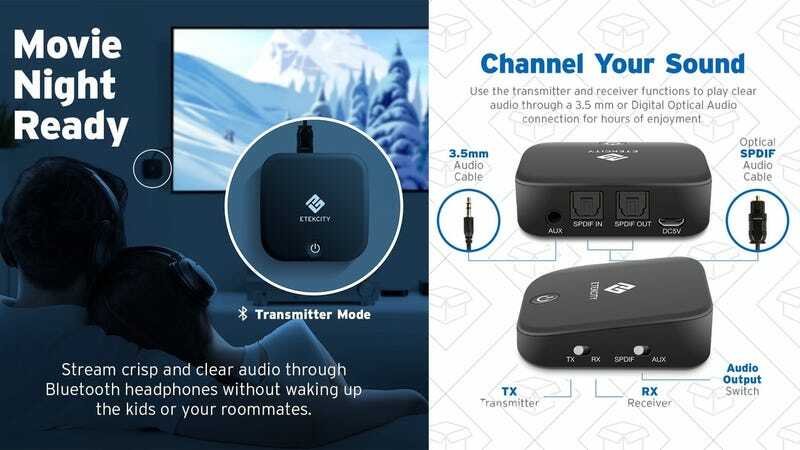 Plus, it can even pair to two pairs of headphones simultaneously when transmitting, which would allow two people to, say, listen to the same TV over headphones to avoid waking up someone in the next room. Just be sure to use promo code 65ML8Y3V at checkout to save a few bucks.